Sulaima Kochaji returned to Al Fatih Academy in 2011 as our Registrar and Systems Administrator. She holds a Bachelor of Arts in Literature and a Master of Science in Information Systems from American University. Prior to her service at Al Fatih, Ms. Kochaji was employed as an IT Consultant at the Inter-American Development Bank and the Word Bank Group. She is the mother of two Al Fatih graduates and one currently enrolled middle schooler. 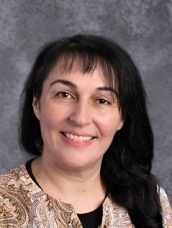 Ms. Kochaji enjoys hiking, baking, and spending time with her family.